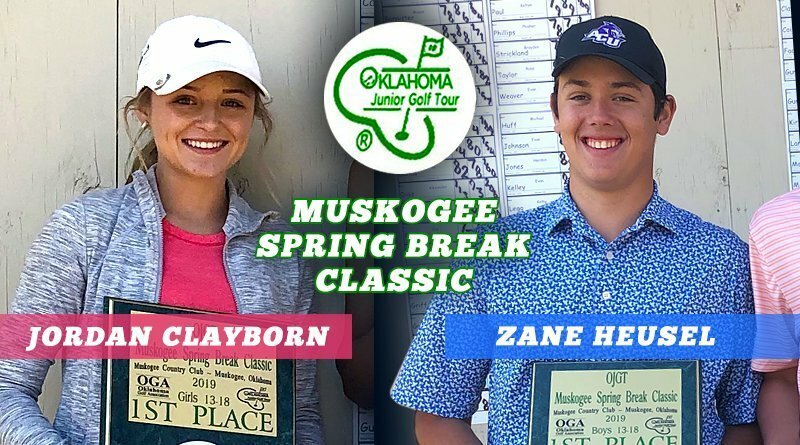 Zane Heusel of Edmond shot rounds of 72-72 to cruise to a seven-shot victory in the Oklahoma Junior Golf Tour’s Muskogee Spring Break Classic held Monday and Tuesday at Muskogee Country Club. 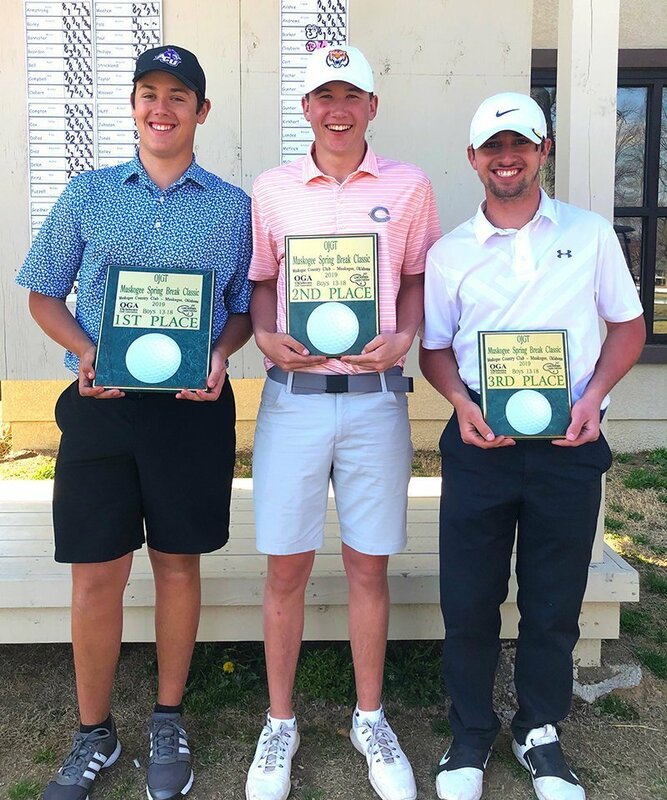 Heusel finshed at 144, while Jacob Grellner of Cushing won a close battle for second, finishing at 151 (74-77). Hayden Hall of Owasso and Christian McAllister of Oklahoma City tied for third at 152. 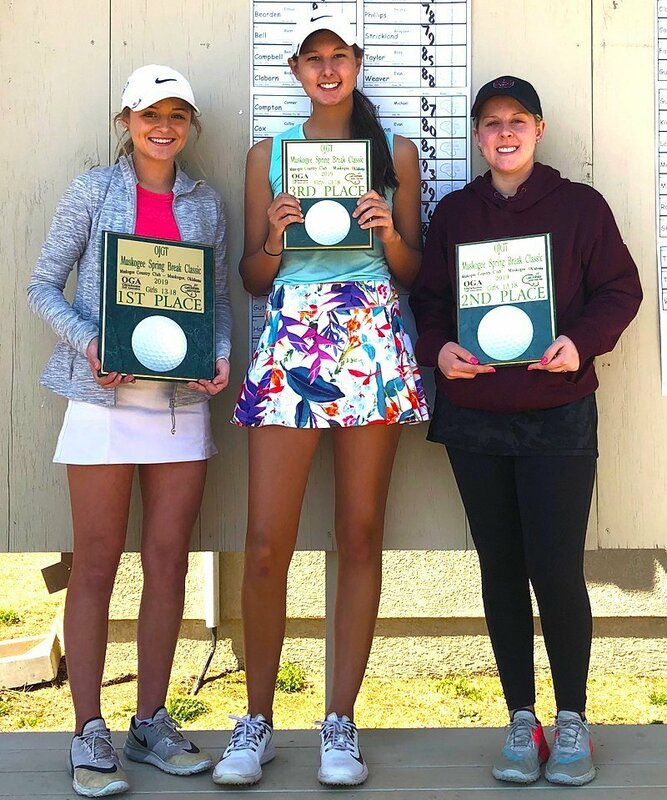 In the girls’ division, Jordan Clayborn of Tahlequah edged Taylor Towers of Owasso by two shots. 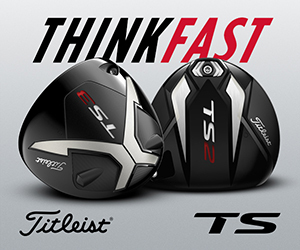 Clayborn shot consecutive rounds of 78 while Towers finished both rounds at 79. Blayne Barker of Durant took third at 163 (81-82). Complete results below. Zane Heusel, Jacob Grellner and Hayden Hall.